Now that virtually every leading telecommunications service provider has committed to delivering IP-based telephony services, communications professionals face the enormous challenge of implementation. This hands-on guide brings together today's best known answers and solutions for delivering VolP services with the quality customers deman. 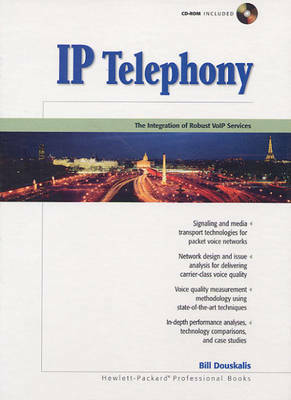 No other book covers the combined issues of protocol signaling, media transport methodology, reference topological considerations and voice quality testing in service offerings. No matter what your role in delivering Voice Over IP (VoIP) services, IP Telephony delivers the specifics you need to speed deployment, improve reliability, ensure quality, and simplify troubleshooting. Precise, thorough, and based firmly in the real-world, it is simply indispensable.